That Exotic Africa, the "Back to Eden" goal, the backwards Heart of Darkness, in need of the Great Green White Father to rescue them from their primitive E-Waste "e-waste hell". Ok, this is not just another insult blog. This contains some really terrific leads for academic researchers who want to publish something new about "e-waste" exports. I have some very new and interesting leads below. I'm fooling around with some background research, looking at the growth in number of households in Nigeria which have televisions in use (World Bank), the number BAN and ITC and UNEP say are imported, the percentage of sales which UNEP says are used/secondary to new. Guess what? Yet another data point. I don't have time to really polish the argument below, but it adds up to about 85-90% reuse. There's nothing exotic going on here. The "Great White Father", Jim Puckett, acts like some kind of a "no dancing dad", an Environmental Fundamentalist from Footloose II, a back-to-Eden, anti-growth, anti-globalization preacher, who has a right to point fingers at free market traders who obey the Basel Convention - which permits export for repair, something Jim voted against and lost. BAN adorns its NGO website with fire and brimstone photos of poor kids at dumps, and says those photos trump the data. But all the data is adding up to the same thing. African cities are getting electricity. Africans are moving closer to the city, where the electricity is. Africans growth of internet and television use is exponential, much greater than the growth in OECD. The growth is high where per capita income is $3000 per year, a market which cannot afford brand new equipment. The brand new equipment sales in Africa are rife with ESD (electrostatic discharge) failure rates, as faulty equipment in new packages finds its way to countries with lesser warranty law enforcement. And the per capita generation of "e-waste" grows in these countries, along with the growth of the internet. Hardly a case for the arrests of Hurricane Joe Benson, Hurricane Hamdy, or Hurricane Chiu. Link to Cahil Milmo and BAN, months before the sting by Milmo on Benson. Follow up by Milmo, crowing over Benson's conviction of exporting TVs for dumping and burning. UNEP found containers like Benson's, analyzed during his trial, were 91% reused... a higer reuse rate than brand new product. The rest of this blog shows how World Bank data could have exonerated Mr. Benson, and disproven BAN's "Digital Dump" allegations, without even the benefit of the UNEP sampling. 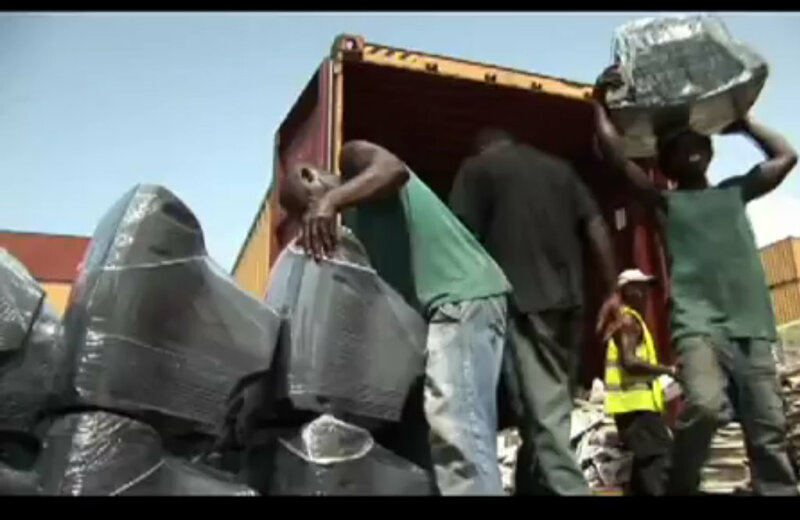 The eight men, whose firm’s operated across the country, were found to have been at the heart of a lucrative trade which sends tonnes of waste computers and other consumer durables to west Africa and Asia every year to be stripped of valuable metals in grim conditions, often by children. One of the company owners, Joseph Benson, whose BJ Electronics toured civic waste sites picking up electronic goods to be sent illegally to Nigeria from east London, was convicted following an investigation by The Independent,Sky News and Greenpeace. Except the premise "to be stripped of valuable metals in grim conditions, by children" is completely false. 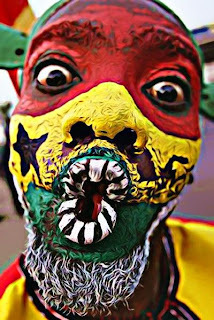 That allegation was presented to the UK Independent by Basel Action Network (first link). It was disproven by UNEP. Like a modern day Mockingbird Robinson, Joe Benson has given up on the trial process. Below, I provide hard evidence that BAN's "statistic" was false to begin with, and allege that our society would never have taken the accusation seriously in the first place if the trade in used TVs was between two white men. The number of households in Sub-Saharan Africa reached 148mn at the end of 2011, and this figure is predicted to increase by 20mn over the next six years, bringing it to a similar level to Western Europe. However, the region's TV household total (38mn at the end of 2011, or a quarter of homes) is currently only equal to that of Germany. This total is predicted to increase to 50mn by 2017, representing 30% of all homes in the region. Nigeria is expected to account for around a quarter of TV households in Sub-Saharan Africa by 2017, with South Africa contributing a further 15%. If you have spare time, I recommend background research on major African cities. Here's a story in the Atlantic about Lagos surpassing Cairo in population. Both are big importing cities. I always wondered, if avoided disposal/environmental costs (externalization) was really the driver for exports, why wouldn't the trash go to less and less populated areas? That's the the way landfills in the USA are sited, and the most polluting activity on the planet - hard rock metal mining - is invested. You take polluting activities away from cities. Why does primary copper mining go to Papua New Guinea, but the "toxic trash burning" would go to cities like Lagos, Accra, Guangzhou, Cairo, etc.? 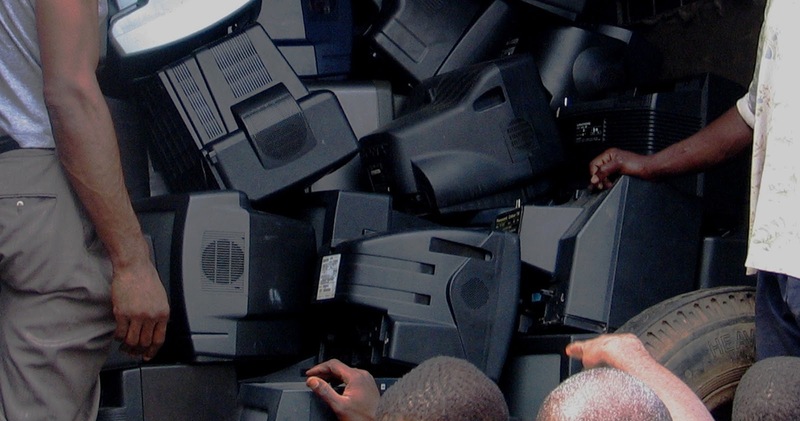 The World Bank data on growth of units (TVs and PCs) in use, as a percentage of sales of new product (UNEP), demonstrate that BAN doesn't know what it's talking about when they say a "vast majority" of purchases of used equipment by Africans for Africans are going to dumps. They are simply making it up as the go along, repeating slightly different statistics, according to the wind, to each reporter they meet. "Aren't you a little too black to be owning that?" World Bank shows Nigeria had 6,900,000 TV sets (27% of households, higher in cities) in 2007. In Lagos, per capita income is $3,649 per year. The couple of thousand sea containers per year which people like Joseph Benson buy and ship there are 42,000 lbs each, with about 450 TV sets or 900 small sets/monitors (depending on size). What BAN has done is take photos of the dumps outside the cities, and then made the size of the trade seem much larger. How many TVs does a city like Lagos, with its share of 6,900,000 televisions, discard in a year? Couldn't Jim Puckett have found kids burning TVs if all imports had been halted, altogether? Are his photos enough "data" to ruin people like Joe, Hamdy and Gordon? This is a witch hunt, it's Scarlet Letter Politics of the 21st Century. Of course, 1-2 million imported used TVs per year seems like a large number by itself. But even if Nigeria's TV use was not growing (which it is), and was static at 6.9 Million, it's a normal replacement rate. It would mean Nigerians use their used TVs longer than American use new ones. Of course, if Nigeria's rate of ownership is growing, they use them much, much longer! When you take World Bank numbers and see the growth of households with TV sets, then see the UNEP data (70% of electronics sales are secondary market), you can calculate that the imports are adding to the households with TV sets, the growth of the World Bank numbers. If as BAN.org insists, that US International Trade Commission data, and IDC ISRI data, and ASU data, etc. are all wrong, how in the world did Lagos feed the city of 21M its internet cafes and TV broadcasts? Were the new sales distributed like bread and fish, a modern miracle? Or are the reuse and repair rates much, much, much higher than Basel Action Network has told the press and legislators? Here's a link (and embed) of a nifty tool at tradingeconomics.com. Cahil Milmo, take note. I don't have time today to really explore this, it's good academic fodder for a researcher. There are dozens of studies of the used / secondary automobile market, and probably some 1960-70s studies on the used Television sales in the USA, if you go to a hard copy library. (And who has this data? OEMs, manufacturers of new product). The story that 80-90% of the export trade to Africa is toxic and bad is just not plausible. What is plausible is that BAN gets paid money by companies offering a "solution" to the problem BAN imagined, and BAN and those Steward companies are willing to mislead legislators in order to protect that income. Sadly, they are even willing to see innocent entrepreneurs in Africa, the Tinkerers who represent the same blessing (anti-resource curse) which developed Singapore, South Korea, Taiwan, and Japan. And when I tell them who is being dragged at they end of their rope, they say I'm attacking them. Here is the marketing strategy when you want to sell something people don't need. Heck, the amount of secondary research on secondary markets has barely been tapped. Here's a college thesis. Dubai is considered an outlier in the resource curse theory of development. But what else is Dubai besides a very very wealthy piece of real estate in an oil rich area? IT'S TINKERER CITY. The used electronics going to Iran, Egypt, India, Bangladesh, etc. are centered in huge tinkerer trader factories inside Dubai. We need an anti-defamation league for the geeks of color. BAN keeps trying to portray my defense as a kind of mudslinging offense. Sure, I get pissed off somethings, sometimes I think "might as well be me". I see so many people afraid of Basel Action Network, afraid of being accused of "dumping on the poor", afraid of being accused of exploiting. My company destroys three times as many working units as we resell, because our regulators have been frightened by Basel Action Network's numbers, and don't want to be accused of "allowing" us to poison children. "Well, he should have armed himself if he's going to decorate his saloon with my friend." Rumor Mongering: Is Jim Puckett Ousted at BAN?